Have a bone to pick with foodie trends like hot broth served in a coffee cup for as much as $11? Well, Brodo is looking to convert you: Download the Brodo app and you’ll get half off a cuppa if you use it at the new kiosk between now and Feb. 28. 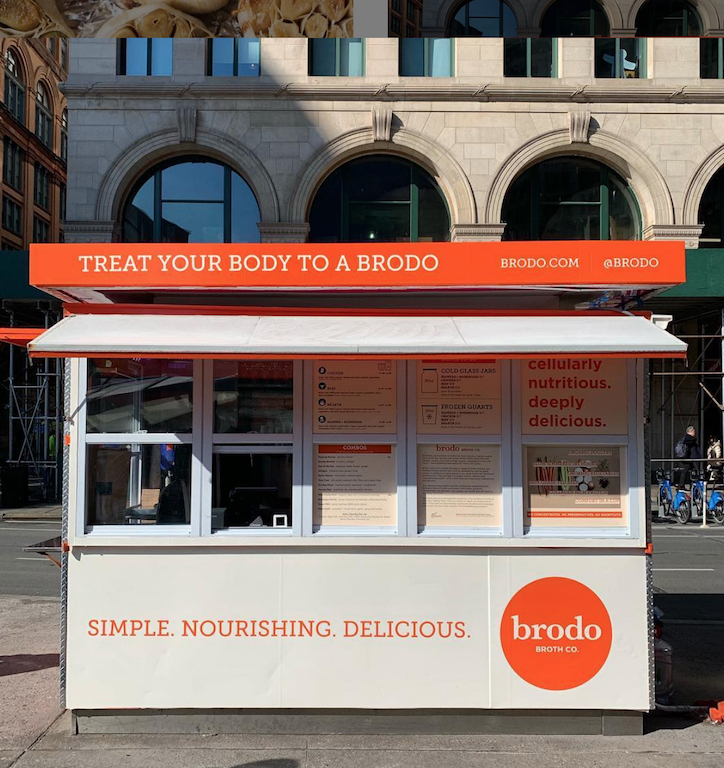 As we noted when Brodo expanded to Soho last winter, Canora has been hyping bone broth as a panacea of sorts, even providing the stuff to new mothers at NYU Langone’s maternity ward. In a Munchies essay, titled “I Was Insane Until I Started Drinking Broth,” the acclaimed chef wrote that broth was not only “delicious and great to sip on, but it also felt really healing.” In short, it’s just what you need when you’re feeling bone tired. As with Brodo’s four other locations, customers choose between broths made from chicken bones, beef bones, or seaweed and mushrooms, and then can add in ingredients like coconut milk, chili oil, spiced bone marrow, and “stimulating herbs.” The takeout cups are available in 10-ounce and 16-ounce sizes and range from $5 to $10 before add-ins. If you’re mourning the loss of churros y chocolate, don’t worry: La Newyorkina will be back once the weather warms.